It’s already time for another “One Room Challenge”! I can’t believe it’s already been 6 months since having a completed kitchen, you can see more about that here. But, I’m ready to tackle another space, and I’m not doing 1 I’m doing 2! The first space will be a new Shared Girls Bedroom for my 2 daughters. 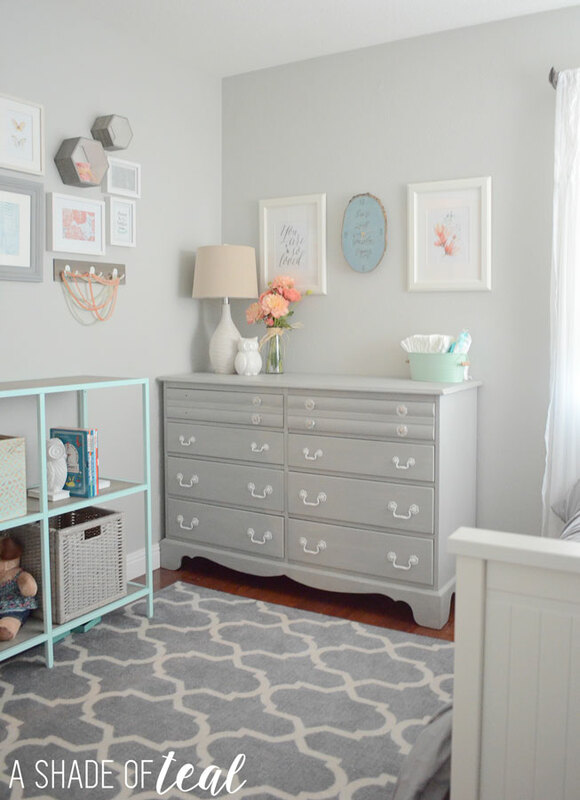 Tomorrow I’ll be sharing my second room which will be a new Baby Boy Nursery. In-case your wondering or guessing, we’re expecting baby #3 and it’s a BOY! So even though I previously did my Nursery I now need to make room for our new addition. For this round my goal is to do a lot of rearranging and re-purposing. 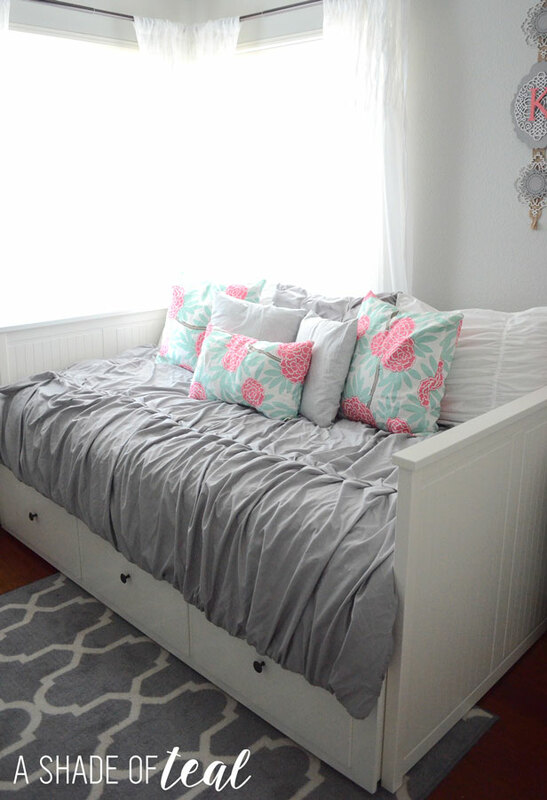 Both our nursery and our oldest daughters room were complete, and I loved how they were. So, I would hate to get rid of all the decor and furniture. For my theme I’m keeping it pretty traditional to my style with a “Modern Rustic Glam” look. It’s pretty much modern farmhouse meets glam. 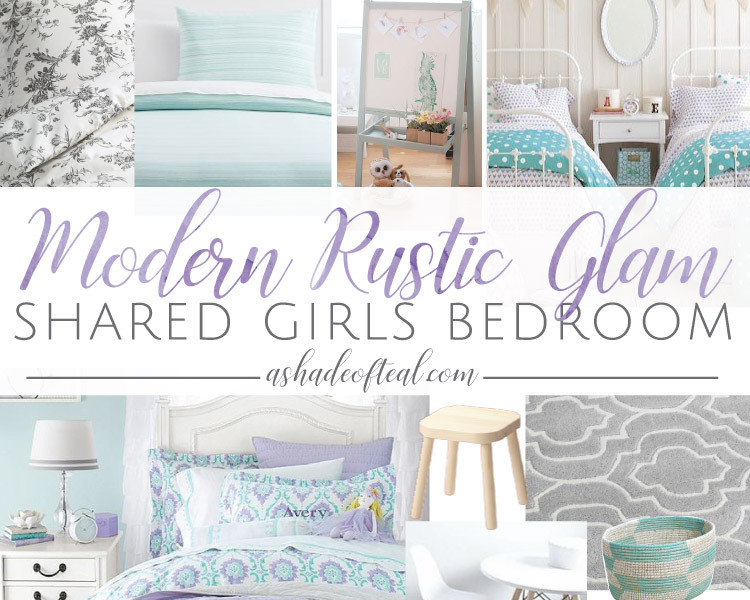 This Modern Rustic Glam Shared Girls Bedroom will take over my oldest daughters room. Here is what it currently looks like, and you can see all about how it got that way HERE. The room is pretty small, so as much as I would love to have 2 beds they won’t fit. So, will be adding bunk beds! That should be fun right! Possibly add a new table & chairs, if I have enough space! There really doesn’t seem like much to-do, but I know it will take time pulling it all together. My goal is to have a functional space where they have a large open area in the middle to play. As I mentioned earlier it will be a Modern Rustic Glam style. You’ll have to stay tuned next week to see my inspiration, but here’s a little sneak peek! I would like to introduce my amazing sponsors for this room makeover, without them this makeover would not be possible! Finally, if you haven’t heard about the One Room Challenge its hosted by Calling It Home and the challenge goes on for 6 weeks where I’ll update you each week with the progress I’ve made. Make sure to check out the other linking participants HERE. I hope you’ll join me every week to see the progress of my room makeover’s, and thanks so much for stopping by! « Make a Baby Bath Time Kit! Congrats, Katy!!! When is your due date? I have a grandson due end of November (which will make two grandsons… one for each of my children), and we just found out this week that my first grandson will have a sibling in May! Very fun! Love what your plans are for both rooms! Always love seeing the aqua in your rooms… I never get tired of it!